WordPress has many things going for it, the first of which is that it is an open source platform. That means there are likely thousands of people worldwide that are working on the WordPress platform, plugins, and themes. Many minds working together can solve problems and challenges better than 1 person. There is great support for WordPress and developers out there developing themes and plugins to add functionality to a core WordPress installation. One can add just about any functionality to extend a WordPress website. So that is why encourage people to use WordPress. When and what to update when it comes to WordPress? This question was asked by Jodi Blackwood, Business Etiquette coach. This is a really great question. If you are a WordPress user you will know that everytime you log into your dashboard there is something that needs to be updated. It could be a plugin, a theme, or the core WordPress files. Not every update needs to be done right away – but some of them do. If it is a security update then go ahead and do the update. It won’t affect your website other than patching a security hole that has been found to prevent some hacker from breaking into your website. So it is always good to do the security updates. But there are many other types of updates. What I tell my clients is 95-98% of the time updates are going to improve the functionality or security of your website. Always backup first! Then go ahead and do the updates. If there is a problem then you have a backup to fix it. I also tell my clients that if a problem arises then give me a call – I have likely already dealt with it and know what to do to fix it. So you do not need to stress about updating your website files. Jennifer has some videos on her website but they are not very responsive – even though her theme is responsive. Her videos are getting cut off and not playing correctly on mobile devices. If you are using a current WordPress editor then there is a tool called YouTube (and another one for Vimeo). If you use this tool instead of the embed code from YouTube directly then the videos will resize for mobile devices. All you need is the video number which can be found when playing the video on YouTube and looking up in the address bar. It will be the number at the end of the URL. Why is SEO for WordPress better than other website builder platforms? Question by Kristin Taylor of Kristin Taylor Marketing. Occasionally I will have a client come to me with a website that was created with one of these other building platforms. I can copy the text and move it into WordPress and it will perform better than it was in the other platform. I have done this several times with a few different platforms. This is a another big reason why i use WordPress. Also, Kristin there is a great free plugin out there called Yoast SEO. You can get it from the plugin repository in your WordPress install. It is an awesome free tool that will help you to optimize every page and post. Yoast SEO will help you with your titles, meta descriptions, and with writing your text so it is better optimized. It will analyse the text you have and tell you things you can do to improve the post based upon the keyword you entered for that post. How do you post to Instagram from WordPress? Question submitted by Martyn Meisner of MMM Productions, LLC. The Instagram platform does not allow posting from tools like WordPress. It is made to post from your mobile phone only. There are lots of different social sharing plugins available for WordPress. The one I like to use is Sassy Social Share. You can post to all the other social platforms using these sharing tools – just not Instagram. There is a tool called Later.com that will allow you to schedule posts for Instagram. It sends the information to your phone then you do the actual post from your phone. How do I resize a photo in WordPress? Question submitted from the Talk Board. WordPress does not have a real photo resizing tool – but it does have a great feature for creating 3 different sizes when an image is uploaded. You can set the sizes under Settings | Media in the dashboard. There are thumbnail sizes, medium, and large. Once these sizes are set then every image uploaded gets automatically resized into these 3 sizes. This is a great way to keep your images consistent site wide. How to link to a vendor from a post or a page? Question submitted by Donna Saladin of Country Garden Tables. What she is really asking is how to create a link to another website in a post or page and have it open in a new window or tab. WordPress uses the same editor as Word – so in the editor for the page where you want the link – highlight the words that you want linked and click the link icon in the editor. Put in the url for the link and check the box that says Open Link in a New Window. Some of the editors have you choose Self or Blank. Self opens in the same window and Blank opens in a new window or tab. Should I use a free theme or a paid theme? Question submitted by Mark from Cellar Door Wine Tours. There is a lot to know about themes in WordPress. If you go to your theme repository in your dashboard you will see tons of free themes to choose. There are also literally thousands of paid themes – so how do you make your decision? If it is just a blog – it is something you are having fun with and not a crucial part of your business then use a free theme. But if it is your business website you want to pay for a theme because you are also paying for support. If you ever have any issues with the theme you want to know that you can call, email, or have someone remote into your WordPress install and fix the issue for you. Another thing to watch out for is the theme development. Free themes are often not being improved upon so they will eventually break as php versions increase or other technology changes. Make sure the paid theme you choose is still being developed as well. When I log into my WordPress dashboard I get a warning to update my php. Question submitted by Victoria Cook of the Center for Guilt Free Success. Victoria there are thousands of people out there with this same issue right now. In the world of php (programming language that WordPress is created with) the WP platform, plugins, and themes are currently updating their coding for the most current stable version – which is 7.0. If you have had your hosting account for a long time it is likely using 5.2 or 5.4. You need to call your hosting company and ask them to upgrade your version of php to 7.0. They may need to actually move your account to a newer server. Either way this is something that your host needs to fix for you. What is needed to keep your website safe from hackers? Question submitted by Deborah Ivanoff of The Being Coach. It will change your database prefix. A standard install uses wp_ which hackers know. Changing it to anything else helps keep your database more secure. It will use a list of banned ip addresses to help protect your website. If someone from one of the blocked ip addresses tries to access your website they will be blocked. There is an area in the plugin that allows you to turn features of your website off and on – you can turn off php uploades which is one way that viruses get added to your hosting account. The paid version has 2 factor authentication. When you log in it sends a code to your cell phone that you have to enter into the login screen before gaining access. This keeps your site way more secure. WordPress Tip: SSL Insecure Content Fixer. An SSL encrypts any information leaving from your website on the Internet. It has become non-optional recently and all website need an SSL certificate. SSL Insecure Content Fixer is a plugin you need to add to your website once you have an SSL certificate installed on your website. It will go through your database and add the “s” to all your http:// links so they read https://. It does this for all your images, pdf’s, and links on your website. These are things you can manually change, but if you miss one then the green lock for your SSL won’t show. This plugin saves time and is way more through than the manual option. Everyone knows we need to get reviews. They need to be on Google, Yelp, Facebook, and yes – on your website. If you go to your plugin repository and search for Reviews you will find many options. 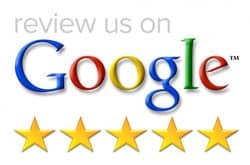 There are some that will embed your Google reviews, embed your Yelp reviews, add a star rating to reviews, allow people to submit them directly from your website. There is a plugin called GC Testimonials that will allow you to add a review that someone emailed you to your website. It puts it in as a separate post with will allow the search engines to index to review separately from your other pages. It helps with search engine optimization.